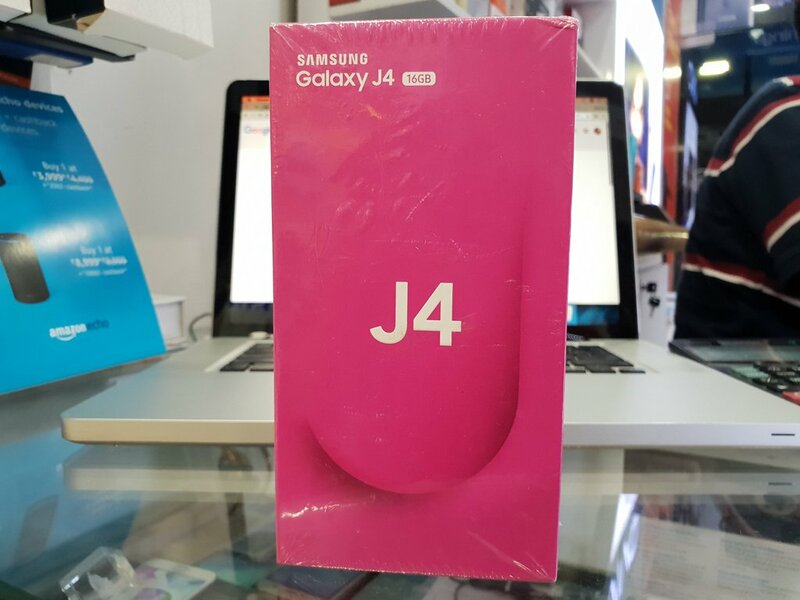 We have known for a few months now that Samsung has a couple of new affordable devices up its sleeve and the Galaxy J4 happens to be one of them. Samsung was expected to launch it in India during a press event last week and while the event marked the official launch of the Galaxy J8, Galaxy J6, A6 and Galaxy A6+ in the country, Samsung didn’t say anything about the Galaxy J4. It appears that the company won’t be making much of a fuss about the launch of this device. 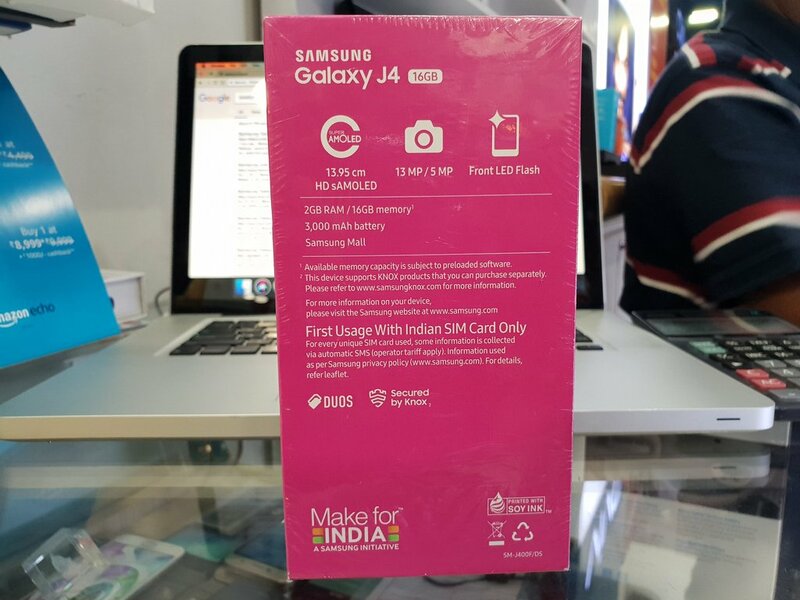 Samsung seems to have quietly launched the Galaxy J4 in India through its offline retail partners. It’s not like Samsung hadn’t already made this device official. Samsung Pakistan’s website listed it officially last week and revealed all of the details about its specifications and features. Moreover, an online retailer in Ukraine started taking pre-orders for the device a few days ago. Mahesh Telecom, a local smartphone retailer in India, tweeted today that the Galaxy J4 is now available for purchase in the country. 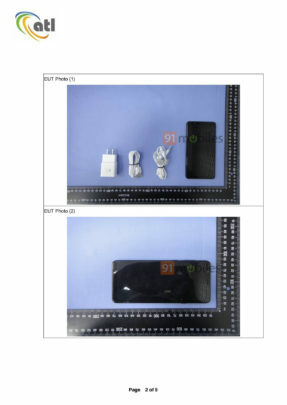 The retailer also tweeted photos of the smartphone’s box which has all of the details about its specifications. As we had exclusively reported, the Galaxy J4 features a 16:9 5.5-inch HD Super AMOLED display with an Exynos 7570 processor with 2GB of RAM and 16GB of internal storage. It also features a 13-megapixel f/1.9 rear and 5-megapixel f/1.9 front camera with flash. There’s a 3,000mAh battery and the handset comes with Android 8.0 Oreo out of the box. The retailer has also confirmed the price for this device. Customers in India will be able to purchase the Galaxy J4 for Rs. 9,990 or $148. It’s not listed for sale at online retailers like Flipkart or Amazon just yet, though. 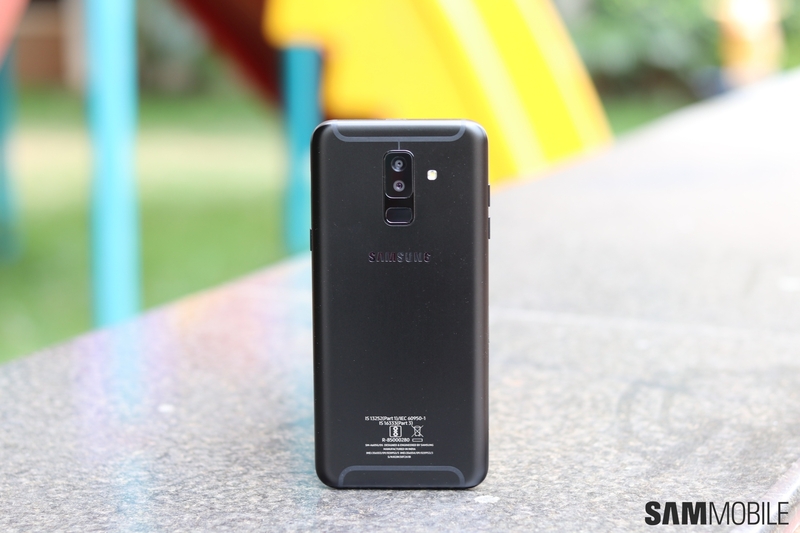 The post Samsung seems to have quietly launched the Galaxy J4 in India appeared first on SamMobile. Samsung has been making Cinema LED screens for theatres for some time now. Last month, along with bringing the first Cinema LED screen to the US, Samsung also launched the Onyx brand to sell these theatre screens. Since the initial launch of these screens in July last year, Samsung has already installed these screens in a few theatres around the world. It appears select theatres in India will soon join the list. A top company executive told IANS that the Onyx Cinema LED screens will launch in India later this year. Samsung has partnered with PVR Cinemas and INOX Group to install the Onyx Cinema LED screens in the country. At first, they will be installed at the PVR multiplexes in Delhi and Mumbai, but Samsung has aggressive plans to expand the availability. The Korean company is hoping to convert at least 20 percent of the total 10,000 cinema screens in India to Onyx Cinema Screens by 2020. “We first launched the screen in Korea, then we installed it in China, Europe, Thailand and the US. Once users watch content on ‘Onyx’ screen, it would be very difficult for them to switch to conventional projectors in theatres,” Puneet Sethi, VP, Consumer Electronics Enterprise Business, Samsung India, told IANS. Samsung’s Onyx Cinema screens offer a host of advantages over the current theatre display solutions. They offer better picture quality with deeper blacks and more accurate colors. The screens are versatile as well and can display 2K, 4K, 3D, and HDR images. Samsung also clubs sound solutions from JBL, a brand owned by Samsung subsidiary Harman International, to offer an immersive experience to the viewer irrespective of where he/she is seated. A report in Business Today mentions that installing an Onyx screen requires an investment of around $600,000 to $800,000 and takes up to 16 weeks from “receiving purchase order to installation.” These screens will reportedly last for 17 years with a screen life of 100,000 hours. The report, however, quotes no source for this information. The post Samsung’s Cinema LED screens will land in India soon appeared first on SamMobile. Samsung introduced AR Emoji with the Galaxy S9 earlier this year. The feature enables users to create a digital likeness of their face that’s capable of mapping their voice and facial movements. Once the likeness is created, AR Emoji also makes a set of animated stickers that can be used in third-party messaging apps like WhatsApp and Facebook Messenger. AR Emoji was capable of making a set of 18 animated stickers from the user’s likeness at launch and Samsung has now announced that it’s expanding this ability by adding 18 new animated expressive stickers to AR Emoji. The AR Emoji feature not only allows users to map their face to their digital likeness, it also offers popular characters from the Disney universe for users to map their faces to. Mickey and Minnie Mouse were initially available and Samsung later added Donald Duck as well. Samsung added the cast of The Incredibles to its library of AR Emoji avatars just a few days ago. Samsung has doubled the number of animated stickers that are generated automatically whenever an AR Emoji is created. To access the new set of stickers, just update the camera app on your Galaxy S9 or Galaxy S9+ from the My apps section of the Galaxy Apps store. AR Emoji’s library of pre-set expressions is now up to 36 from 18 and Samsung says that it’s going add 18 more expressions in the coming months which will bring the total number of these animated stickers to 54. These new AR Emoji stickers will be readily available once you download and install the update. They can then be shared directly from the keyboard and can also be copied and pasted from the Gallery app to messaging apps. The GIF posted below shows some of these 18 new AR Emoji stickers in action. The post Samsung adds 18 new AR Emoji stickers appeared first on SamMobile. We’ve been hearing reports over the past few weeks that the Galaxy Note 9 release will take place earlier than its predecessor due to Samsung’s accelerated schedule. 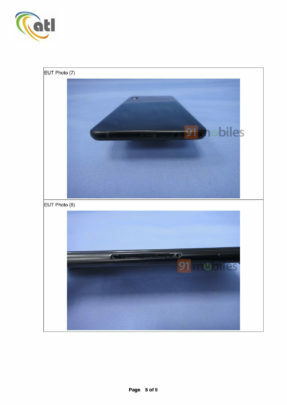 It was expected that the next flagship phablet may be out by late July or early August. That may not be the case, though, if a new report out of South Korea is believed. A last minute design change ordered by Samsung Electronics Vice Chairman Lee Jae-yong will reportedly result in the Galaxy Note 9 release being delayed by two weeks. It was reported earlier this month that Samsung Display has started mass production of the 6.38-inch display panel for the Galaxy Note 9 in April. This meant that it had started mass production a full two months before it did for the Galaxy Note 8 in 2017. That report lined up with the expectation that the Galaxy Note 9 release will take place ahead of schedule, not to mention the fact that Samsung already set a precedent this year by releasing the Galaxy S9 a month before the Galaxy S8. 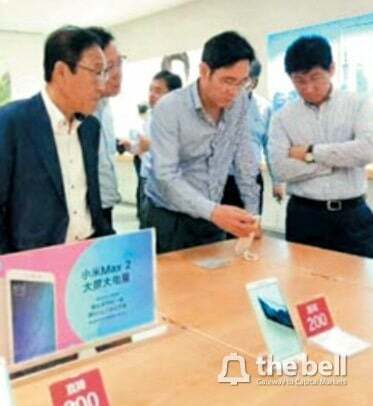 A report out of South Korea now claims that Samsung is reducing the thickness of the display glass by 0.5mm at the last minute on the directions of its Vice Chairman Lee Jae-yong. The display glass is the layer on top of the OLED panel which protects it and also serves as the users’ input source. The change is believed to be a result of the vice chairman’s recent trip to a smartphone distribution center in China where he played around with Oppo and Vivo handsets that also use Samsung Display’s OLED panels. He found that those handsets felt much better to grip in the hand compared to the Galaxy Note series. Samsung rarely adjusts the specifications of an upcoming flagship device this close to launch but it’s believed to have made this change for the Galaxy Note 9 on the directions of its vice chairman who wants the display glass on the new flagship to be a bit thinner. 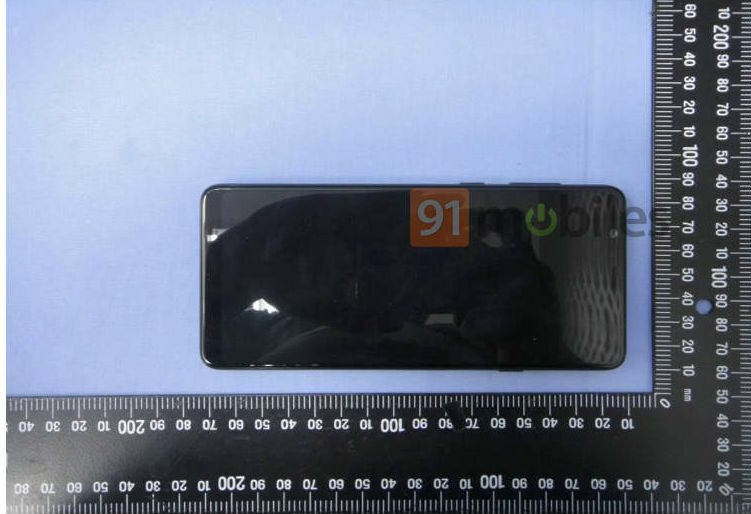 It seems that the Galaxy Note 9’s display glass won’t be as thick as the Galaxy S9. Perhaps Samsung previously opted for the same thickness for the Galaxy Note 9 as well but when the vice chairman looked at some of the competitors’ devices, he felt that Samsung could opt for a thinner display glass to make the device feel more comfortable in the handset. Given that the Galaxy Note 9 is expected to feature the largest-ever panel size of 6.38-inch, any improvement that makes the handset more comfortable to use will certainly be appreciated by fans. The Galaxy Note 9 release is now said to be delayed by up to two weeks as the relevant part is modified and tested before mass production. Samsung hasn’t confirmed any of this so far, though. The post Galaxy Note 9 release reportedly delayed due to design change appeared first on SamMobile. 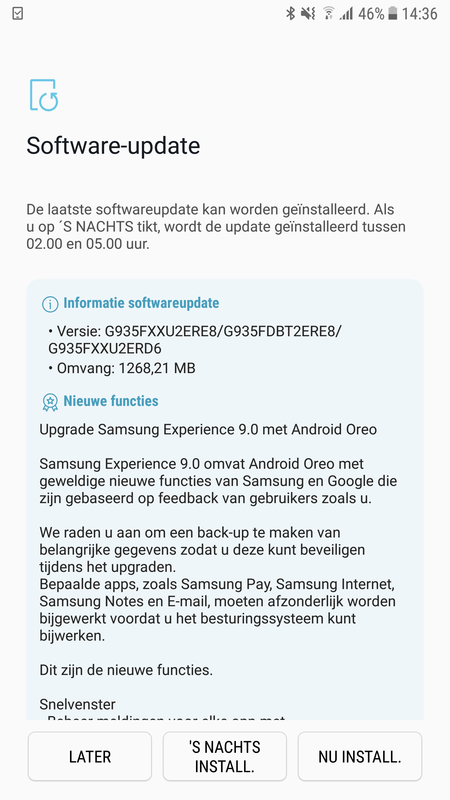 The post Galaxy S7 Oreo update rolling out in various European countries appeared first on SamMobile. 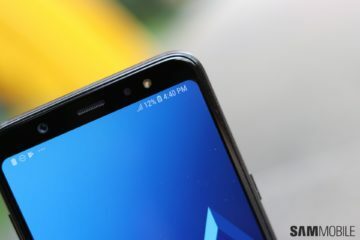 Samsung is gearing up to launch the Galaxy A9 Star in China as its latest premium mid-range offering, one with impressive camera specs on both the front and back and an unusual-for-Samsung rear camera design. 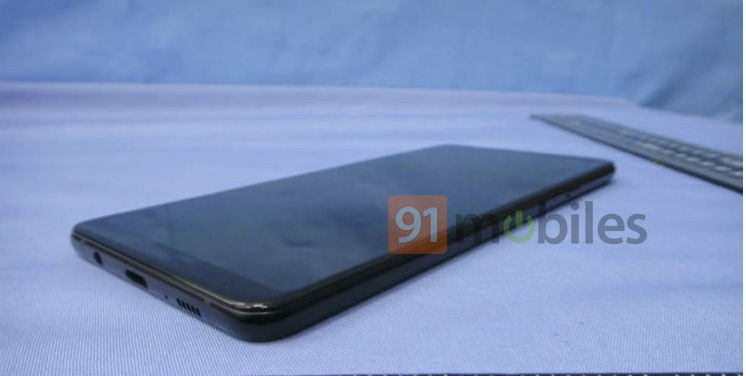 We have seen plenty of leaks in recent weeks that have given us the lowdown on the Galaxy A9 Star, and now, a leaked poster for the device has made its way online. 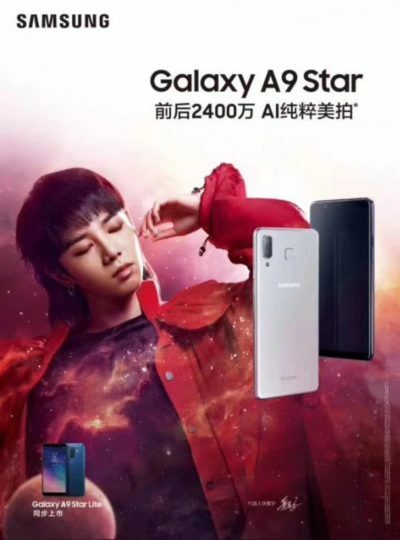 But what’s interesting here is not the Galaxy A9 Star, but another device in the bottom left corner of the poster, revealing that Samsung may be preparing to launch the Galaxy A6 as the Galaxy A9 Star Lite in China. The image isn’t too clear, but the metal body on the device is a dead giveaway that the A9 Star Lite is just a rebadged Galaxy A6. It may have a few changes – most likely upgrades in RAM and storage for a better chance to do well in the competitive Chinese market – but it’s also possible it will retain the exact specifications of the Galaxy A6. That would put it below the Galaxy A9 Star by some margin, what with its regular 16-megapixel front and rear cameras and a smaller display with a lower screen resolution. There won’t be a dedicated Bixby button, either, which would make the virtual assistant much less useful on the Galaxy A6. The poster also confirms the 24-megapixel front camera on the Galaxy A9 Star, while suggesting that an official reveal is right around the corner. 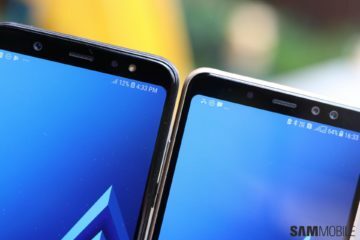 The Galaxy A9 Star should also be launching in a few other South Asian markets, probably those where the Galaxy A6+ wasn’t released given its similarities with the Plus-sized A6. 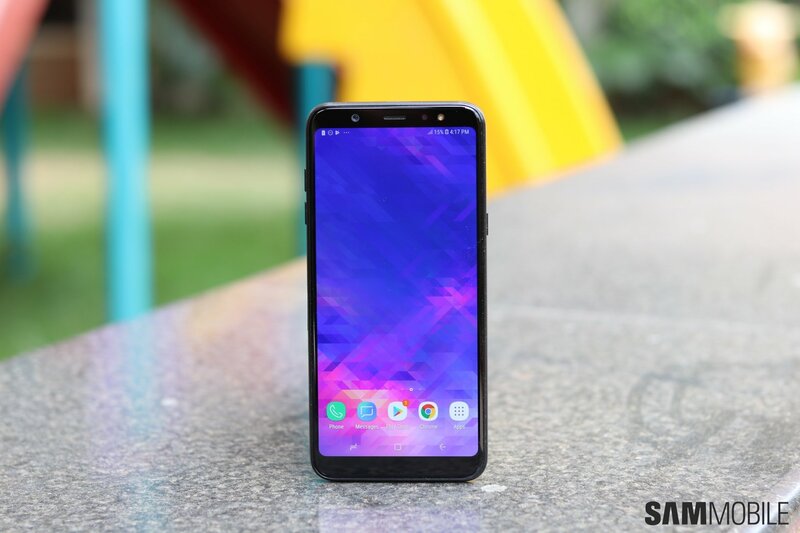 The post Galaxy A9 Star Lite could be the Galaxy A6 for the Chinese market appeared first on SamMobile. Samsung is rolling out a minor update to the Gear S3 today, adding a nice little use case for the rotating bezel on the watch. The update adds a new accessibility feature that will allow Gear S3 users to accept incoming calls by rotating the bezel. It’s surprising the company never thought of this option before, but it has now, and we are sure Gear S3 owners will welcome the latest update with open arms. We haven’t received the update on any of our watches yet, so we’re not exactly sure where the option to answer calls using the bezel would be found. Probably in the Accessibility menu of the watch’s Settings app, under the Vision submenu, since Samsung is calling it a “visual accessibility” feature. It does make sense that the option would have to be manually enabled, as otherwise you might end up accepting a call you don’t want to answer if you manage to move the bezel by mistake (which would be fairly easy if your watch’s bezel ring has lost some of its friction, something that can happen after a few months of regular use). The update is going out to both the frontier and classic versions of the Gear S3, with firmware versions R770XXU2CRE3 and R760XXU2CRE3 respectively. 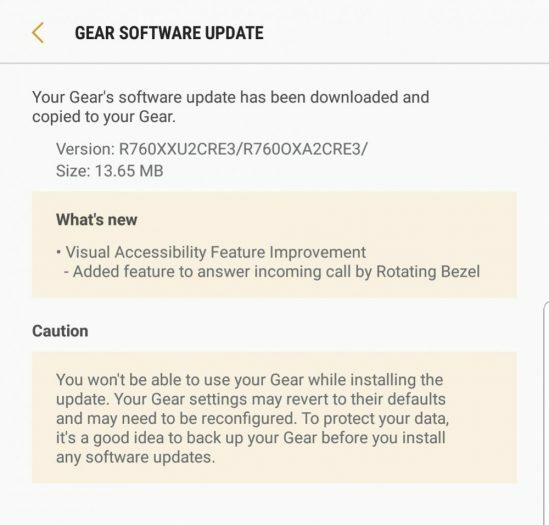 It’s a 13.65 MB update, and you should be able to download it from the Samsung Gear app on your connected phone or tablet, via the About Gear » Update Gear software menu under the app’s Settings tab. If the app says you’re on the latest version, try again after a little while as the update may take a while to reach all regions. The post Gear S3 update adds ability to answer calls by rotating the bezel appeared first on SamMobile. [Poll] How happy are you with Samsung? Samsung’s behavior can sometimes be polarizing for its fans. The company’s loyalists have stuck by it through thick and thin, unfazed by exploding devices and software update regimes that leave a lot to be desired. Others continue to stick by it but begrudgingly and they’re quick to voice their displeasure with Samsung should the opportunity present itself. Some had enough and decided to switch to another brand altogether. Our readers form the biggest online community of Samsung loyalists and fans. We also have people among our ranks that take issue with the way Samsung does things, be it the company’s haphazard update schedule or its desire to no longer be the first in the world to introduce innovative new technologies. Vote below in the poll and let us know how happy you are with Samsung and why. If you’re not happy with the company anymore, do let us know in the comments below why that is and what Samsung can do to make you a believer again. How happy are you with Samsung? The post [Poll] How happy are you with Samsung? appeared first on SamMobile. Samsung has released Android Oreo for many of its smartphones, flagship and mid-range alike, but they have only been upgraded to version 8.0. It’s yet to upgrade any device to version 8.1 and it appears that Samsung might do that with the Galaxy J5 (2017). This particular mid-range device is yet to receive its Oreo update and there’s some evidence to suggest that when the update does arrive, it will bump up the device straight to Android 8.1 Oreo. It’s already known that Samsung is going to update its 2017 Galaxy J series to Android Oreo over the summer. The handsets should start receiving the update over the next couple of months in the relevant markets across the globe. There’s some evidence to suggest that when the update finally arrives for the Galaxy J5 (2017), it will upgrade the device straight to Android 8.1 Oreo. 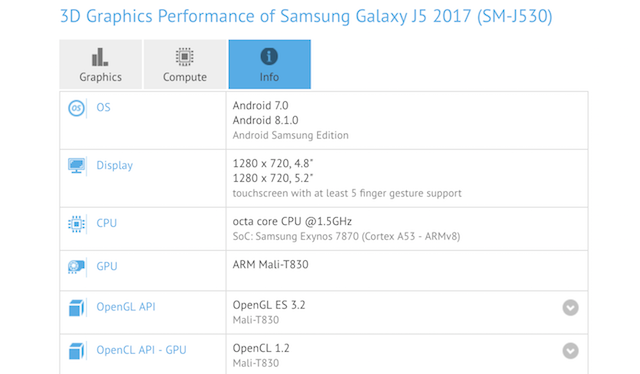 A benchmark listing has surfaced on GFXBench revealing that a Galaxy J5 (2017) running Android 8.1 Oreo has been tested. The firmware is identified as “Samsung Android Edition” which can be taken as yet another indication that Samsung wants to bump up this device straight to version 8.1. History is on the handset’s side as well. Some of you might remember that when the Galaxy J5 and Galaxy J7 (2016) were finally updated to Nougat last year, they got version 7.1.1 even though all of the other Samsung Galaxy smartphones got Android 7.0. Moreover, a GFXBench listing was also our first indication last year that these devices may be bumped up straight to version 7.1.1 of Nougat. This is why it’s completely within the realm of possibility for the Galaxy J5 (2017) to receive a direct update to Android 8.1 in the coming months. The same will likely be true for the Galaxy J3 (2017) and the Galaxy J7 (2017) as well. 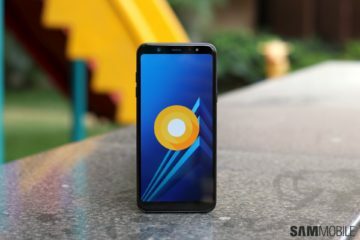 Even though more recent devices like the Galaxy A8 (2018) exist and while they will receive Oreo, certifications suggest that the Galaxy A8 (2018) will also be upgraded to version 8.0. What’s unclear at this point in time is precisely when Oreo is going to be released for the Galaxy J (2017) handsets. We’ll be the first ones to let you know when Samsung starts rolling it out. The post Galaxy J5 (2017) Oreo update may bump it straight to Android 8.1 appeared first on SamMobile. The post Galaxy S10 in-display fingerprint sensor has been ‘confirmed’ appeared first on SamMobile. 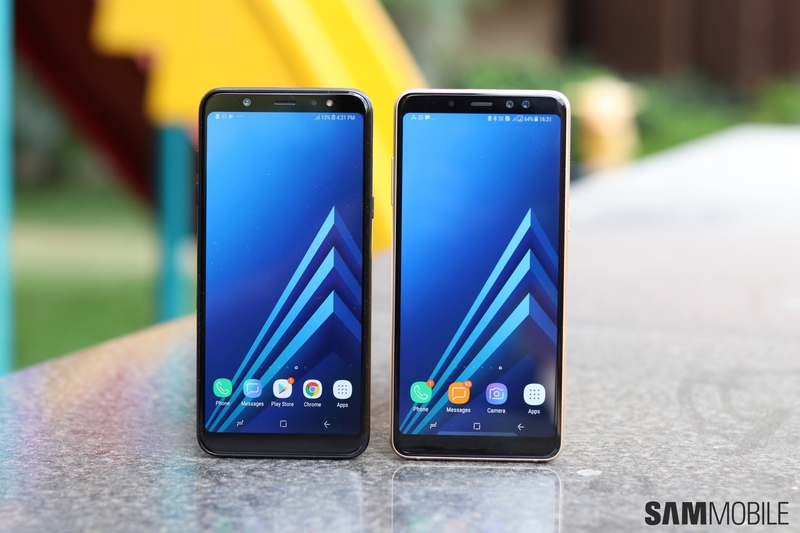 The post Samsung Galaxy A6+ initial impressions: An interesting proposition appeared first on SamMobile. A summary lawsuit was filed by the Dutch Consumers’ Association back in 2016 demanding that Samsung provide regular software updates and ensure transparency in the update schedule. The issue was too complex or the legal process adopted then so no judgment was passed in the case. A more comprehensive lawsuit was filed by the association in November 2016 and the matter was taken up for hearing in the District Court of The Hague two months ago. Samsung told us in a statement that it wasn’t worried about the lawsuit filed by the Dutch Consumers’ Association and that it was looking forward to the verdict of the proceedings on merits. Its confidence was well placed as Samsung has won the lawsuit on updates against the Dutch Consumers’ Association. The Dutch Consumers’ Association prayed to the court that Samsung be compelled to provide timely updates for a device four years after it’s launched or at least for two years from the date it’s purchased by a customer. The association had failed to demonstrate in earlier interlocutory proceedings that concrete security breaches existed in Android which had put Samsung users at risk because the company didn’t send out updates in a timely fashion. All of the association’s claims were previously rejected by the court. The District Court of The Hague has ruled in Samsung’s favor today and said that it’s not possible to determine a reasonable deadline for releasing software updates. It acknowledged that software updates often go through multiple parties such as carriers and chip manufacturers which is what makes it difficult to determine a fixed time period. Samsung also explained during the proceedings that it was not possible to put all smartphones through the update process regularly at the same time due to technical considerations and that it sets priorities on the basis of actual threat level instead. Samsung is obviously happing with the ruling, saying that the verdict underlines that its approach to keeping its smartphones safe works. The Dutch Consumers’ Association isn’t happy about how this has turned out but hasn’t confirmed as yet if it plans on appealing the verdict. The post Samsung wins lawsuit on updates against the Dutch Consumers’ Association appeared first on SamMobile. Samsung may finally be putting the Bixby button on devices that aren’t flagships. The recently launched Galaxy S Light Luxury has one, and while it’s a Lite version of the Galaxy S8, it still does mark the first time Samsung has put a Bixby button on a non-flagship phone. 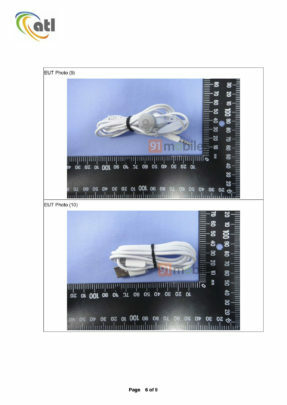 And, as pictures of the Galaxy A9 Star published by Taiwan’s wireless certification authority (NCC) confirm, the Bixby key will be seen on yet another not-so-high-end Galaxy device. 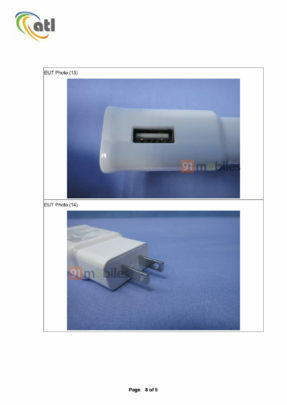 The pictures also give us a nice look at the phone from all sides, in addition to the charger, USB cable, and earphones that will accompany it in the retail box. Samsung seems to have chosen budget earphones for the Galaxy A9 Star instead of the high-quality ones that it used to sell with pre-Galaxy S8 flagships and its mainstream mid-range Galaxy A series phones. Maybe the inclusion of Dolby Atmos is why Samsung thinks the cheaper earphones should suffice, though it could just be a move to keep costs low. The charger is thankfully Fast Charge-enabled, so you get quick charging for that sizable 3,700 mAh battery inside. Last but not the least, there’s a USB Type-C port on this phone, unlike the Galaxy A6 and Galaxy A6+. 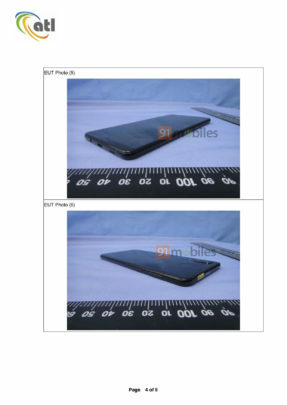 Of course, we are also getting to see that new iPhone-style dual camera placement at the back of the A9 Star once again. The phone’s display isn’t on in these pictures, but we have already seen the screen lit up in the hands-on video that leaked yesterday. 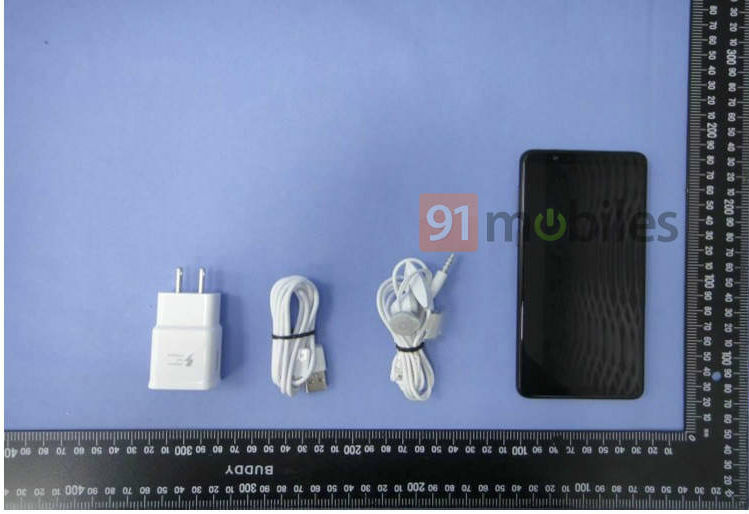 Also, the A9 Star certified by the NCC has the model number SM-G885Y/DS. That suggests it could make its way to markets other than the ones where we exclusively revealed the device would launch. Not to mention a certification in Taiwan already hints at a wider launch than we currently know about. 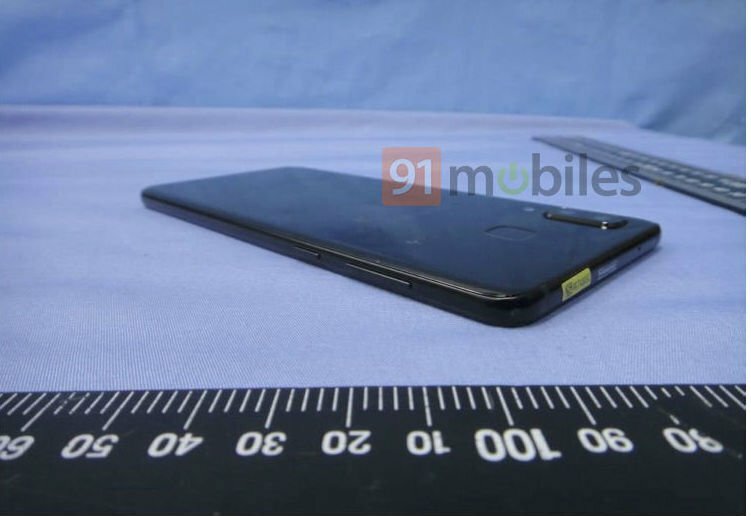 In case you missed previous Galaxy A9 Star coverage, the device is expected to feature a Full HD+ 6.28-inch Super AMOLED Infinity display, 4GB for RAM, 64GB of internal storage, a 24-megapixel + 16-megapixel dual camera setup, a 16-megapixel front camera, and Android 8.0 Oreo. Release date and pricing details are unknown right now, but all the leaks suggest it will be unveiled sooner rather than later. 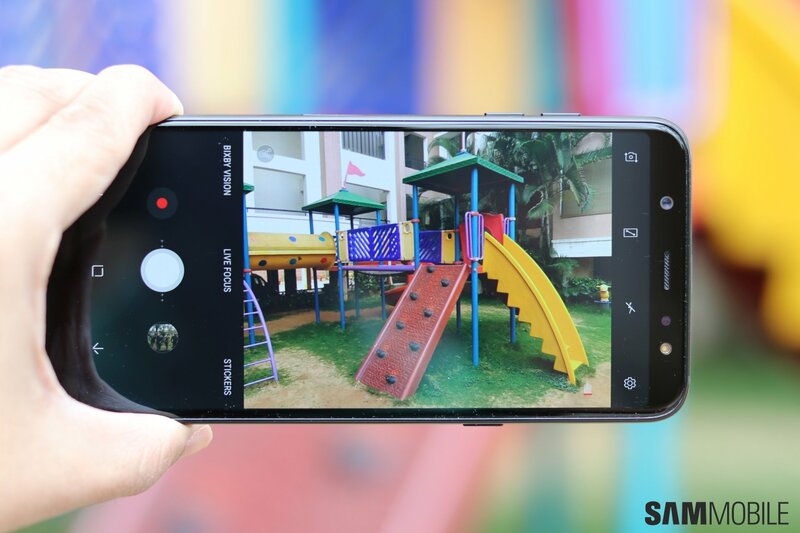 Take a look at all the Galaxy A9 Star pictures below, and tell us what you think of the device down in the comment section. 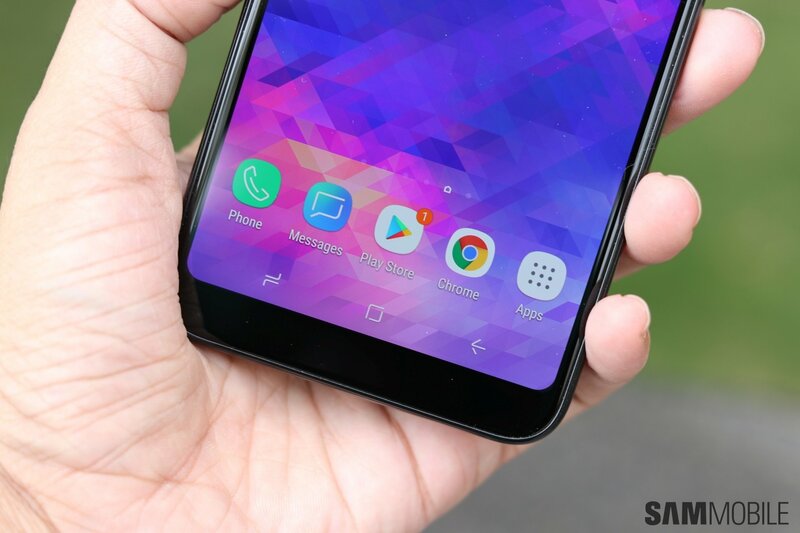 The post Galaxy A9 Star certification pictures show off its accessories, Bixby button appeared first on SamMobile. Samsung is showcasing its OLED technological dominance at the SID DisplayWeek by showing off its latest flexible and rollable OLED displays. A big part of the company’s booth at the trade event is dedicated to its automotive OLED technologies which feature a variety of flexible and rollable OLED displays. 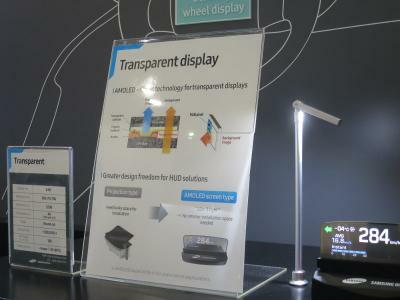 The products on display include flexible, transparent, rollable and a lightfield display. Perhaps the most impressive installation at Samsung’s booth was its 14-inch 960×540 rollable OLED panel that has a bending radius of 10R. The impression Samsung seems to be giving off here is that it’s mulling commercializing rollable OLED displays in the not too distant future. The company also demonstrated its 4.94-inch 360×112 transparent AMOLED panel with a transparency of 44 percent and a 7-inch 1280×800 lightfield display with support for 18 view points through Samsung Display’s binocular disparity vergence motion parallax technology. For potential automotive customers, Samsung is showcasing its “unbreakable” 6.22-inch 1440×2960 display with an all-plastic design that promises additional durability for an automotive environment. Samsung also revealed an OLED display that doubles as a speaker for the first time. The technology is similar to LG’s crystal-sound OLEDs. Samsung calls the 6.22-inch 1440×2960 panel its “Sound on display” prototype which was configured as a telephony receiver. That wasn’t the only unorthodox product Samsung Display has at its booth. 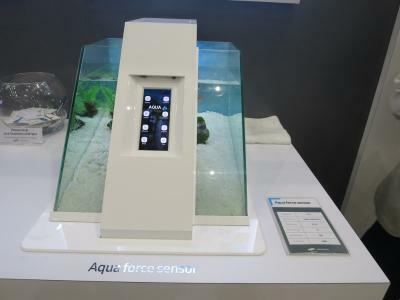 There’s also one with a force sensor that can work underwater and Samsung is calling it the “Aqua-force” OLED panel. The prototype was a 5.77-inch 1440×2960 panel that can work underwater. We’ve already reported that Samsung showcased a new 1200 ppi AMOLED display for virtual reality yesterday. It lines up with recent reports that Samsung may be working on a standalone Gear VR headset. The post Samsung shows off its latest flexible and rollable OLED displays appeared first on SamMobile.